As a step ahead with its efforts on overhaul of the Medical Council of India , the NITI Aayog committee, is expected to meet state ministers and officials on September 8 to hold final discussions over the proposed National Medical commission bill, following which the committee will move ahead in the process of preparing the final bill. A senior government functionary has confirmed the same to Indian Express. “The meeting will ensure the comprehensive consultation. By the time the meeting is held, views from the public would have arrived,” the official told the newspaper. It is reported that earlier this month, NITI Aayog had out the bill in public domain inviting comments till 31st August. With the deadline for public comments coming to a close, this will be followed by interaction with state officials to get their viewpoints. The government appointed Committee had found itself in broad agreement with the recommendations of the 92nd Report of the Parliamentary Standing Committee and the Roy Choudhury Committee report on the need for a total overhaul of the regulatory framework and governance of medical education in India. 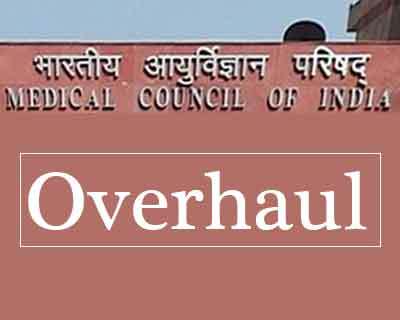 In the spirit of the Roy Chaudhury Committee recommendations, the committee has therefore proposed that a National Medical Commission replace the current MCI with the new body having a markedly different structure and governance system. The committee, which had out forward its report along with the draft bill on its website, inviting comments, had suggested many changes as a part of the overhaul. These included introduction of a National Licentiate Exam (National Exit Exam) for MBBS students, new architectural structure for new commission. Many of these have not been accepted by the members of the medical fraternity, who have promptly replied with their comments to the email-id provided by the committee. The report has been prepared by the Government appointed Niti Aayog committee headed by the Niti Aayog Vice Chairman Arvind Panagariya as well as P K Mishra, additional principal secretary to the prime minister; Amitabh Kant, chief executive officer, Niti Aayog; former health secretary B P Sharma; and Secretary of Ministry of Health & Family Welfare C K Mishra. 1.mci should be retained and be under purview of eligible suitable and potential medical professionals only. all dpt heads also to be medical men.revamp the personal. 2.more of introspection and in depth analyses public debates to be done.the medical men are most suitable and The M.C.I name to be retained as it is the only apex body for medical men. Yes the medical field has been under attack from all directions and made it a scape goat.politicisation and privatisation go hand in glove and has demoralised our profession.and it is this which had made like this to be commented us on. Only knowing two spelling will suffice. The present situation is a reflection of only doctor controlled body. 60 years of ordeal changed the country to the house of non communicable disease from a communicable one. Age old syllabus , quantity based structure, no intension for quality……and the killer ego. I don\’t know but I am somehow enjoying this ripple in the fraternity. I really wish the crap doctors to be removed from the system . Let the deserving one serve the nation. You remove the science from medical science it becomes an adjective place it anywhere because it loose its own position. Be a part of society, there is vast difference among God, Demigod and messenger.